Guidance will be developed for radiation safety programs that are involved or may become involved with the production and/or use of nanomaterials. The report will address aspects of the operational health physics programs which may need to be modified and those that can continue to be performed in the traditional manner. Specifically, this report will include guidance on contamination control, engineered and administrative controls, personal protective equipment including respiratory protection, training, waste disposal, and emergency response. It will also include specific guidance on unique aspects of the design and conduct of internal dosimetry programs if nanomaterials are being handled. The report will also identify any knowledge regarding the implementation of a comprehensive and effective radiation safety program for the radiation safety aspects of nanotechnology. The Committee held its first meeting, a webinar/teleconference on January 23, 2013. A draft outline for the report, previously prepared by several Committee members, was reviewed and discussed and writing assignments were made. The resulting texts were the main inputs for the Committee’s efforts during the second meeting (April 18–19, 2013) at NCRP. This meeting provided the opportunity to review currently available draft materials, revise the outline of the report, and discuss additional topics to be included in this framework. This meeting was followed by a third meeting via webinar/teleconference (May 24, 2013) to discuss current progress and issues requiring special attention. A fourth meeting of a portion of the Committee was held on July 9, 2013 during the Health Physics Society Annual Meeting in Madison, Wisconsin. Discussion was held regarding NCRP staff support changes and on revising the schedule to target completion of the draft by the end of 2013. Also at this Health Physics Society meeting, a poster was provided with an abstract published as: “Radiation Safety Aspects of Nanotechnology: Update on Development of an NCRP Commentary,” Health Phys. 105(1 Suppl. ), S15. A fifth meeting was held via webinar/teleconference on August 2, 2013. Additional discussion was held regarding the appropriate amount of material to include in each section of the draft. Following this meeting, the second draft document was prepared as a draft NCRP report, which was reviewed and updated at the sixth meeting’s webinar/teleconference (August 30, 2013). At the August 30 meeting the assignments and sections were revised and additional text identified for incorporation into the draft. The seventh, eighth, and ninth meetings (October 11, November 12, and December 6, 2013, respectively) were held via webinar/teleconference and continued the discussions on report assignments and drafts in process. By the end of the fourth quarter of 2013, the third draft of the report was in process with Sections 3, 4, and 5 having significant progress. The 10th meeting of the Committee was held at NCRP in Bethesda, Maryland on January 13–14, 2014. A plan for completion of the draft report was prepared and updates on writing assignments were made. The 11th meeting (February 7, 2014) and 12th meeting (March 7, 2014) were held via webinar/teleconference and continued the discussions on report assignments and consolidated draft (fifth revision and following) layout. Committee meetings continuing discussion on the status of writing assignments were held via webinar/teleconference as: a 13th meeting (April 4, 2014); a 14th meeting (May 2, 2014); a 15th meeting (June 2, 2014); and, a 16th meeting (June 27, 2014). At each meeting, additional progress towards a consolidated draft report was made. During this period draft reports (sixth and seventh versions) were produced with incremental improvements in each version. The Committee held additional writing assignment meetings via webinar/ teleconferences as: a 17th meeting (August 1, 2014), an 18th meeting (September 9, 2014), and a 19th meeting (September 26, 2014). At these meetings additional updates, corrections and additions to the draft report were made. By the end of the third quarter, the draft report was in Version 7i (September 24, 2014). A complete consolidated draft report is being prepared for PAC/SME review. The Committee held the following writing and assignment update meetings via webinar/teleconferences: a 20th meeting (October 29, 2014), a 21st meeting (November 19, 2014) and a 22nd meeting (December 5, 2014). At these meetings focus was on refining/completing the majority of sections in the draft report. The Committee held a writing assignment update meeting (the 23rd) via webinar/teleconference on January 21, 2015 with a focus on identifying and wrapping up a few remaining issues. The Committee held a final draft report review meeting (the 24th) on February 13, 2015 at which the Committee voted to approve the draft report, with minor additional revisions (revision 8f), for forwarding to the NCRP Secretariat to commence the PAC 2, PAC 6, and subject matter experts (SME) review process. The document was sent to the Secretariat (as revision 9e1) on February 18, 2015. The Secretariat posted the official NCRP review revision to the PAC/SME reviewers on February 21, 2015 with comments due by March 21, 2015. Following the receipt of additional comments on May 11, 2015 the Committee continued reconciling PAC/SME comments. The Chair and Vice Chair, with the assistance of Committee members, developed extensive responses to the PAC/SME comments and produced an updated draft at approximately 90 % completion by the end of the fourth quarter of 2015. Upon completion of the remaining comment reconciliation process, an updated draft report will be sent to the Secretariat for formal NCRP review and approval. This is expected to occur before the end of the first quarter of 2016. The draft report was sent out for Council review in March 2016 with an April 11, 2016 deadline for commenting. Anticipate publication by the end of the year. Mark D. Hoover is a senior research scientist in the Division of Respiratory Disease Studies at the Centers for Disease Control and Prevention (CDC), National Institute for Occupational Safety and Health (NIOSH), in Morgantown, West Virginia. Dr. Hoover is coordinator of the NIOSH Exposure Assessment Cross-Sector Research Program, as well as a critical area leader in the NIOSH Nanotechnology Research Center. NIOSH is the leading U.S. federal agency conducting research and making recommendations to prevent work-related illness, injury, disability and death. Prior to joining NIOSH in 2000, Dr. Hoover was an aerosol scientist for 25 y at the U.S. Department of Energy’s Lovelace Respiratory Research Institute in Albuquerque, New Mexico, where his activities included the design and operation of the U.S. test facility for radiation instrumentation for air sampling and monitoring. He earned a BS in mathematics and English in 1970 from Carnegie Mellon University and an MS and PhD in nuclear engineering in 1975 and 1980 from the University of New Mexico. He is board certified in the comprehensive practice of health physics and in the comprehensive practice of industrial hygiene. 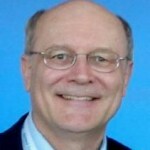 Dr. Hoover has served as chairman or contributor to the development of many national and international standards; is the cofounder of the U.S. Air Monitoring Users Group; is a past chairman of the American International Health Alliance Nanotechnology Working Group; and is author or co-author of more than 190 open literature publications. 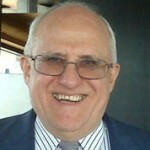 He is co-editor of the 2011 CRC Press handbook on Radioactive Air Sampling Methods; chair of NCRP Scientific Committee 2-6 on Radiation Safety Aspects of Nanotechnology; project leader for preparation of the International Electrotechnical Commission technical report on Radiation Instrumentation Issues for Airborne Materials Including Nanoparticles; and the co-lead editor for preparation of a new monograph on Nanoinformatics Principles and Practices. Special emphasis areas for Dr. Hoover’s work include a graded approach to exposure assessment and characterization of nanoparticles in the workplace, development of a prototype Nanoparticle Information Library, and promotion of opportunities to apply performance-based occupational exposure limits or control banding approaches to nanotechnology. Detailed information about the NIOSH exposure assessment research program and the NIOSH nanotechnology health and safety research program can be found at www.cdc.gov/niosh/programs/expa/ and www.cdc.gov/niosh/topics/nanotech/. is a scientist in the Primary Physics and Design Group at Los Alamos National Laboratory (LANL). She is currently studying shock waves from hydrodynamic experiments and working to unify and advance the methods, applications and communication of uncertainties describing key performance and safety parameters of the U.S. nuclear stockpile. Her broader research interests are in exploring uncertainty communication, epistemic game theory, and the concepts of legitimacy, authority, and information as a strategic form of power. Dr. Cash completed a postdoctoral appointment in Statistics at LANL, has a DrPH from Johns Hopkins University, a MEM from Yale University, and a BSEH from the University of Georgia. She has also completed programs in Nuclear Law from the International School of Nuclear Law in Montpellier, France and in Negotiation and Leadership and Understanding Diplomacy and International Negotiations from the Program on Negotiation at the Harvard Law School. Her research and publications on the potential inhalation of 239Pu and 238Pu dioxide nanoparticles included the development and interpretation of absorption, dose and bioassay measurements; and implications of these findings for the broader and emerging area of radioactive nanomaterials in general. She is a member of the Acoustical Society of America, the American Bar Association, and the American Statistical Association. is a biophysicist freshly and mandatorily retired from coordinating all aerosol-related research within the Focus Network Nanoparticles and Health of the Helmholtz Center Munich (HMGU) spanning research and development (R&D) work over five HMGU-institutes ranging from material sciences to toxicology and epidemiology. He additionally chaired the R&D program of the HMGU Comprehensive Pneumology Center, Institute of Lung Biology and Disease on dosimetry of ultrafine aerosol particles and engineered nanoparticles in the respiratory tract and secondary target organs like the cardiovascular and the central nervous system. 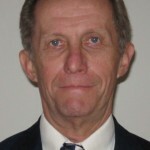 The research interests of Dr. Kreyling range from aerosol sciences and nanoparticle technology to biophysics of the lungs reaching from the characterization of ambient aerosols to particle dosimetry and nanoparticle lung interactions on the level of the entire organism, cells like alveolar macrophages, and molecular compounds. His major early achievements include quantitative analyses of the biokinetics after inhalation of taylor-made physico-chemically uniform, radio-labeled micron-sized particles (0.3 – 5 µm) in six experimental animal species and in humans. The results of these interspecies comparisons were rather influential on the “Human Respiratory Tract Model” of the International Commission for Radiological Protection. 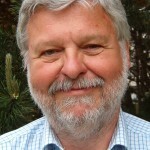 In the early 1990s he became interested in ultrafine particles, particularly in ambient urban air and he supervised continuous ambient aerosol measurements in Erfurt and later in Augsburg to be used for exposure estimates for the ongoing epidemiologic studies of the Institute of Epidemiology on the effects of the ultrafine number concentration fraction versus PM2.5 and PM10 mass fractions. More recently he adopted and applied his biokinetics methodology to study the quantitative biokinetics of engineered nanoparticles in rodent models after lung inhalation or instillation as well as after intravenous injection and oral administration. He found that nanoparticles are able to cross cellular and organ membranes to a small but detectable amount depending on their physic-chemical properties having access to blood circulation and leading to subsequent accumulation in secondary organs and tissues including the skeleton. In particular, the smaller the particles are the higher the translocated fraction across organ membranes; hence, micron-sized particles don’t show any detectable translocation across organ membranes. 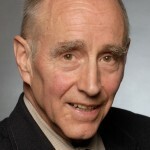 He spent a sabbatical year in 1985to 1986 at the Respiratory Biology Program of the Harvard School of Public Health, Boston, and continues this collaboration since then. Since 1999 he coordinated toxicological collaborations between the U.S. Environmental Protection Agency, NHEERL, and HMGU on ambient air pollution research. He and his team currently participated in six EU-FP7 funded projects and two German Research Foundation (DFG) funded consortia on interactions of engineered nanoparticles with biological systems and the safe and sustainable use of nanoparticles. 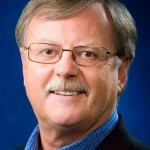 In recent years Dr. Kreyling held various officer positions within the board of the International Society for Aerosols in Medicine and was its President (2003 to 2005). He is member of various other international scientific societies, serves as a member of several expert panels of International, European and German committees. He has published 200 peer reviewed articles and book chapters and he is editorial board member of several international aerosol and nanotechnology related journals and he is currently associated editor of Particle & Fibre Toxicology and Toxicology Research. is Professor in the Department of Environmental Medicine at the University of Rochester, has been the Director of the University of Rochester Ultrafine Particle Center, Principle Investigator of a Multidisciplinary Research Initiative in Nanotoxicology, and is currently Head of the Pulmonary Core of the National Institute of Environmental Health Sciences Center Grant. His research includes the effects and underlying mechanisms of lung injury induced by inhaled nonfibrous and fibrous particles, including extrapolation modeling and risk assessment. His studies with ultrafine particles influenced the field of inhalation toxicology, raising awareness of the unique biokinetics and toxicological potential of nano-sized particles. He earned his DVM and PhD (Pharmacology) from the University of Giessen in Germany. He has served on many national and international committees and is recipient of several scientific awards. He is on the editorial boards of the Journal of Aerosol Medicine; Particle & Fibre Toxicology; Nanotoxicology; International J. Hygiene & Environmental Health; Nanomaterials and the Environment, and Associate Editor of Environmental Health Perspectives. has over 20 y of experience in radiation protection, particularly in the development of standards and the modelling of radionuclide transport in the environment. She was awarded a BSc in Physics and MSc in Radiation Physics by London University and PhD (Physics) by Surrey University and is a member of the U.K. Society for Radiological Protection. For the past 5 y she has been expanding her skills to address chemical hazards, including nanomaterials. 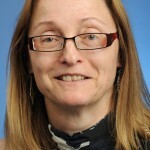 She managed the development of the nanoparticle inhalation facility at the Public Health England Centre for Radiation, Chemical and Environmental Hazards and leads the cross-disciplinary Nanoparticle Inhalation Research Group. The current focus of the group’s research is on the deposition, clearance and translocation of poorly soluble nanoparticles, using radioactively labelled nanomaterials. The group also has interests in the development of methodologies for the characterisation of nanoparticle aerosols and in the chemical and biophysical interactions between components of lung surfactant and nanoparticles. She is a member of the U.K. cross Government Nanotechnology Policy Officials Group and has contributed to a number of Organisation for Economic Co-operation and Development expert groups on toxicity testing for nanomaterials.